How To Buy The Best Fridge - Which? Need a new fridge? 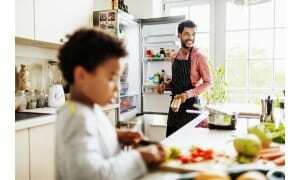 Follow our expert step-by-step guide to get the best fridge for your kitchen and budget. We've tested fridges between 82cm and 187cm in height and £115 and £1,629 in price, so we're well qualified to help you buy the best. Our expert advice will help you pick out the perfect fridge for your home. Choosing the type and size of fridge to buy is probably the most important decision you need to make, but it's by no means the only one. If you want to be really satisfied with your new fridge, you should also consider which features will make life easier, and how much usable storage space you'll really need. Keep reading for all our top tips, and use our interactive tool below to help you pick out the perfect fridge for you. Or, head to our guide to the best fridges to see which models topped our tough tests. Which type of fridge do I need? What size fridge should I buy? Which fridge features should I pay more for? Which fridge is suitable for my kitchen? What's the backing on my fridge made from? If you’re replacing your old fridge, decide whether you need a freestanding or integrated one. If you’re planning a new kitchen, think about the type of fridge you want early on when you’re designing the layout. Do you want a tall fridge with lots of storage or one that fits under your kitchen counter and saves on space? 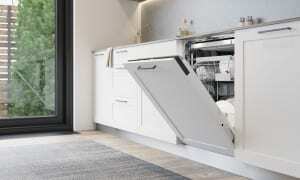 And do you want a standalone model or one that’s hidden behind kitchen cupboard doors? Also, consider whether a combined fridge and freezer would be a more practical choice as they take up less floor space than separate appliances. Check out our to see whether this would be the best option for you. 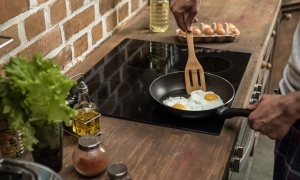 These are the most widely available and cheapest type, and you can put them anywhere in your kitchen. Under-counter models fit under your work surface, or you can tuck tall models away in the corner. Pros of freestanding fridges: Cheapest type, with lots of models, colours and finishes to choose from. You can take a freestanding fridge with you when you move. Cons of freestanding fridges: Can spoil the look of your kitchen. Freestanding fridges come in a wide range of brands, prices, colours and finishes. If you don’t want large white appliances on view in your home, then consider an integrated or built-in fridge. 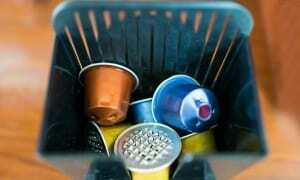 These sit behind cupboard doors and blend in with your kitchen units. You can buy tall or under-counter integrated fridges, and some are designed to fit above waist height into a tall bank of cupboards. On the downside, there are fewer integrated models on the market and they’re more expensive than freestanding fridges. Pros of integrated fridges: Hidden from sight, tend to run more quietly than freestanding models. Cons of integrated fridges: Compared with freestanding fridges, they’re more expensive, offer fewer models to choose between and they tend to have higher running costs. Decided on integrated? Find out more in our guide to how to buy the best integrated fridge. Integrated fridges tend to cost more to run than freestanding models. These are fridges that don’t have an integrated freezer compartment (see fridges with ice boxes, below). You can buy tall or under-counter models and either freestanding or integrated styles. 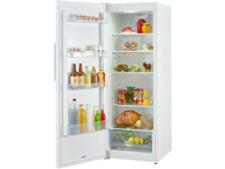 Pros of larder fridges: Cheapest type and widely available in a variety of brands, colours and sizes. Offer maximum storage space for chilled food, cheapest to run. Cons of larder fridges: You can’t store frozen food or ice inside. Need this type of fridge for your kitchen? Discover more in our dedicated larder fridge buying guide. 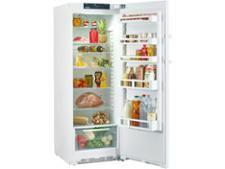 Larder fridges offer maximum storage space for chilled groceries. These have a small freezer compartment at the top of the fridge. This comes in handy if you want to keep a few frozen items easily to hand or if you don’t have room for a freezer in your kitchen. Some allow you to store ice and ready-frozen food, such as frozen peas or ice cream. Others are powerful enough to freeze fresh food down to safe temperatures. Pros of fridges with ice boxes: They provide storage for chilled and frozen food in one appliance, they’re useful for chilling drinks quickly, they cost about the same as fridge-only models. Cons of fridges with ice boxes: The ice box takes up space, so there’s less room for chilled food. They’re more expensive to run than fridge-only models, and they’re not popular - so there are fewer models to choose between. Want to keep a few frozen items on standby? Read our reviews of fridges with ice boxes. Fridges with ice boxes are handy if you don't have room for a separate freezer in your kitchen. The exact fridge size you buy will depend on the space you have to house it in your kitchen. Whatever type of fridge you’re looking for, it’s important to get the dimensions right. Check whether you need to add extra space at the sides, back and/or top to allow air to circulate. Some models don’t need this extra space, but some need as much as 5cm on either side - so it’s important to check carefully before you buy. Check whether you need to add extra space at the sides, back and/or top to allow air to circulate. We find big differences between manufacturers' claimed capacities and real storage space - the worst offenders differ by more than 25%. This means that even fridges with the same dimensions can hold different quantities of food. So check our capacity sizes before you buy to make sure you're getting the maximum amount of storage space for your money - you can find real sizes listed on the technical specification tab of all of our fridge reviews. Fridge features either boost cooling or make the fridge easier to use. They can range from quick-chill functions that speed up chilling to help food last longer, to bottle racks that free up shelf space. Other features offer a touch of luxury, such as water dispensers. Some are nice to have, such as humidity controls to help lock moisture in the salad crisper drawer - this can help some vegetables (such as beans, carrots, lettuce and broccoli) to last longer. Salad crisper drawers that slide smoothly, but don’t slide all the way out too easily - as this can cause you to drop the drawer and all its contents. Adjustable door racks, so you can create more space if you need to store tall bottles. The two you’re most likely to come across are SN and N. Both work effectively in room temperatures up to 32°C, but only SN-classed models are designed for rooms that get as cold as 10°C. It’s possible for kitchens to reach such chilly temperatures during cold winter months. Want to know which is the best fridge to buy? Head straight to our fridge reviews. We have reviews from all the most popular fridge brands, including: Smeg fridges, Beko fridges, Bosch fridges and Zanussi and Indesit fridges. Read our research to discover the most and least reliable fridge brands. All fridges need insulation to keep cool. This insulation is flammable, so it's essential that it's sufficiently protected in the event of a fire. The backing that protects this insulation is currently made from either plastic, metal or aluminium laminate, depending on the make and model of fridge you buy. We are therefore not recommending any refrigeration appliances that have flammable plastic backing. All fridges with this type of backing have been made Which? Don't Buys, regardless of how else they have performed in our chilling and freezing tests. 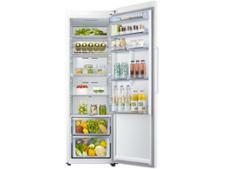 Our fridge reviews will tell you what type of backing each model has.